Sliders is proud to present the newest addition to the park. 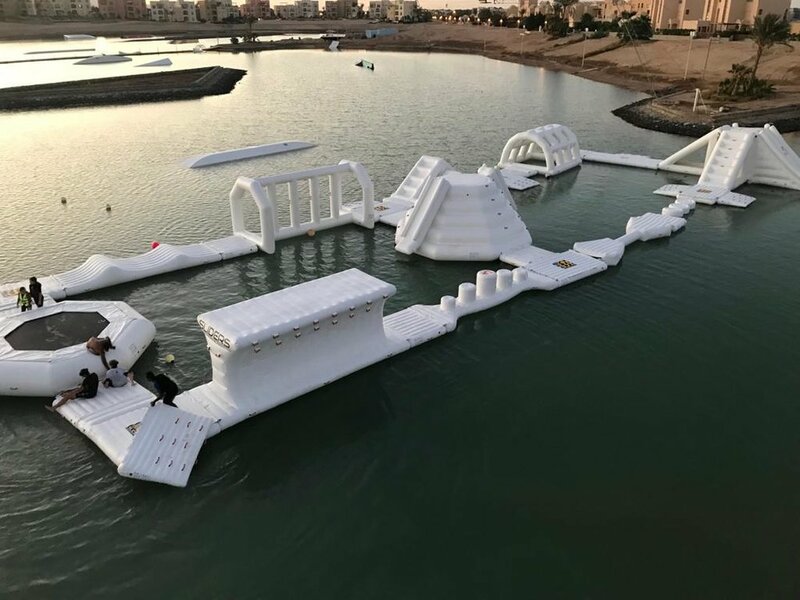 El Gouna’s first inflatable water park! Bringing you amazing features such as Slide Tower, Jungle bar, Cliff, Trampoline, Fun Pillars, Balance Beams, Ramps and many more Gigantic obstacles ! It's an amazing adventure not only for families but also for groups of friends and couples! Book now and secure your session before the high season starts ! - DO NOT JUMP TO THE WATER (IN ANY WAY), DO NOT PUSH ANY OTHER PERSON DO NOT SWIM UNDER ANY PART OF WATERPARK FOR ANY REASON.